US-based streamer Hulu has made a 10-part straight-to-series order for a drama that will track the rise of hip-hop group the Wu-Tang Clan. Wu-Tang: An American Saga will be set in 1990s New York City and will explore how the band’s members chose music over crime to become a major force on the global music scene. Alex Tse, who has created and written the show, will exec produce with Brian Grazer and Francie Calfo from Imagine Television, and Wu-Tang member Clifford Smith (aka Method Man). 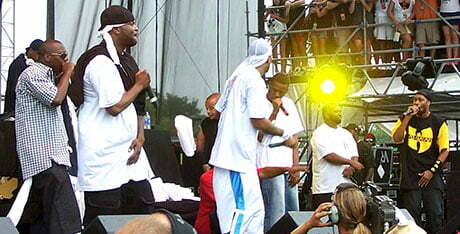 Other Wu-Tang members are attached as consulting producers, with James Seidnman also on board for Imagine. It’s the latest original for Hulu, which recently made a two-season order for adult animated comedy Solar Opposites from the creators of hit animation Rick & Morty. It is also working on the return of teen drama Veronica Mars and has acquired rights to US quizshow Jeopardy!.